Marketing professionals need a way to set up promo codes with specific awards attached to them. 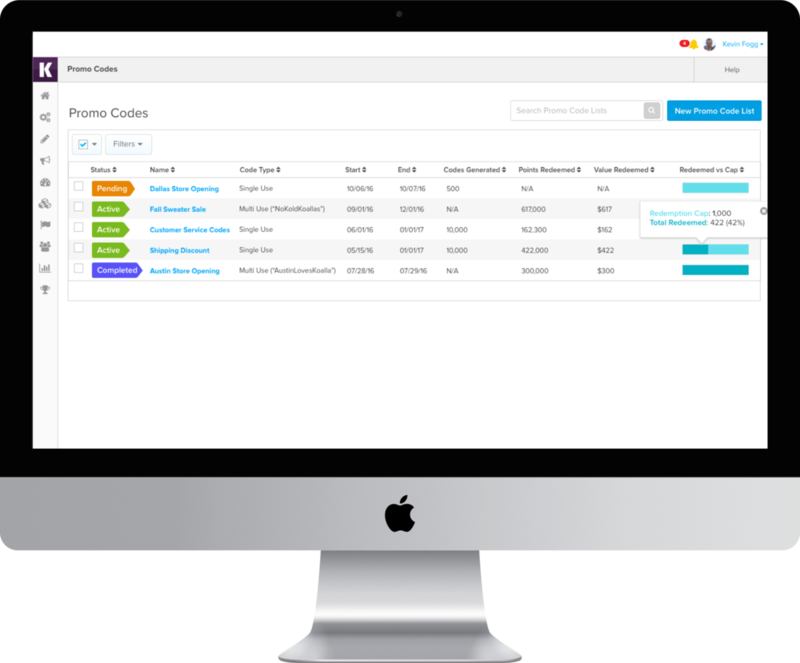 To create a simple, easy experience for promo codes to be created in which customer service agents can use to distribute or be used throughout various marketing campaigns. These codes will award points for the users and can be used multiple times or once depending on the use case. For the Desktop flows shown below: The marketing administrators or customers service agents setting up the Promo Codes. For the Mobile flows shown below: The end user redeeming a promo code. This process began with determining the specific values needed to create a successful promo code. Beginning with the creation of the specific codes and following with the generation of batches. A straight forward, seamless experience intending on saving time. *Koalla is a made up brand that was created in order to protect client's names and confidentiality agreements.